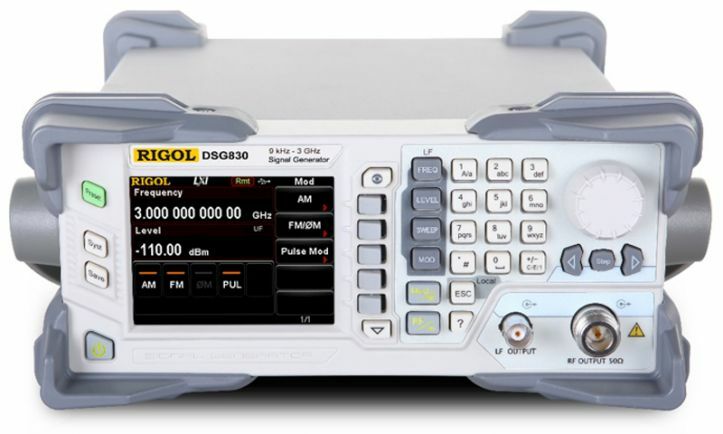 DSG830 - RF Signal Generator provides uncompromised RF signal generation capabilities at an unprecedented value. With output frequencies up to 3.0GHz and maximum output power up to +20 dBm. DSG815 - RF Signal Generator provides uncompromised RF signal generation capabilities at an unprecedented value. With output frequencies up to 1.5GHz and maximum output power up to +20 dBm.